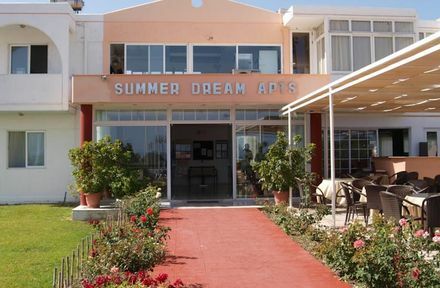 The Summer Dream Hotel is located on the west side of the island paradise of Rhodes, just 500 m from the beach and the centre of the charming resort of Theologos. This hotel has friendly, helpful staff who are doing their best with limited resources. It could do with having some money spent on it. The rooms are basic and the bed uncomfortable. The pool area is OK but the pool needs some work on it. The bar area and food area is clean and comfortable. Unfortunately the food is terrible and the choice is even less. Then again its cheap and cheerful so you can forgive some of it. A good time was had but not sure I would go back again.